A new Tulsa business hopes to help business owners end their recession. Two local entrepreneurs are hoping to help business owners prosper in this economic downturn. 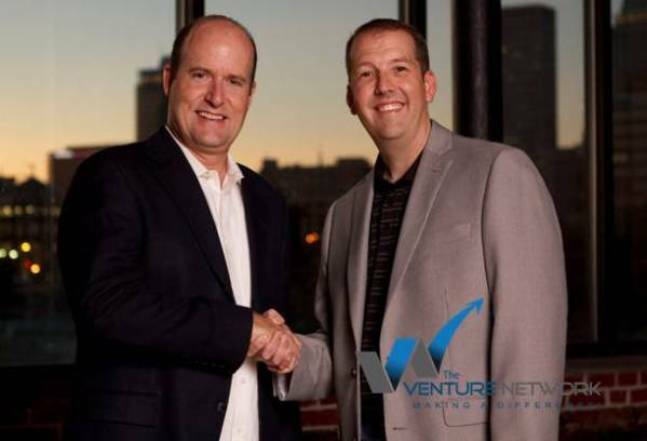 Nathan Mitchell, M.B.A. and Michael D. Butler have launched TheVentureNetwork.org a business networking referral community that helps its members gain new business through referrals online and in person. “It’s a proven fact that people do business with those they know, like and trust and The Venture Network gives consumers and business owners in a specific geographic location referrals based on needed products and services,” says Serial Entrepreneur Michael D. Butler. Nathan R. Mitchell teams up with Michael D. Butler founder of M3 New Media a Tulsa-based Digital PR Firm. “Consumers are suspect of new businesses and they need a place to find businesses, contractors and service providers they can hire based on peer-reviewed recommendations,” says Mitchell. The Venture Network hosts monthly meet-ups for business owners who participate at a basic or premium level. Group members get the benefit of networking face to face and participate with members globally in a 24/7 online master-mind community. “Networking for business referrals is not new but now more than ever, because of the Internet and Social Media coupled with this economy we have the perfect storm scenario for some real business ‘win-win’s’ in Oklahoma and beyond,” says Butler. The Venture Network has partnered with Entrepreneurship Academy Bootcamp EABootCamp.com to offer a one-day intensive for Saturday, March 17th to give business owners and start-ups an 8-hour intensive covering: Business planning, Branding, Social Media, Taxes and Publicity. The Venture Network is located in the Impact Office Center at 3939 S. Harvard Suite 175 and has received calls from numerous states and cities inquiring about launching a Network in their area. Butler and Mitchell have recently traveled to Los Angeles and Memphis TN to meet with Venture Partners who are bringing businesses like: IT, Contractors, Realtors, Insurance, Tax Professionals, Attorneys, Chiropractors, Bankers and Mortgage Professionals. Media Contact: Michael D. Butler, Sr. This entry was posted on and is filed under Blog, Business Networking, In the News. You can follow any responses to this entry through the RSS feed. You can leave a response, or trackback from your own site.